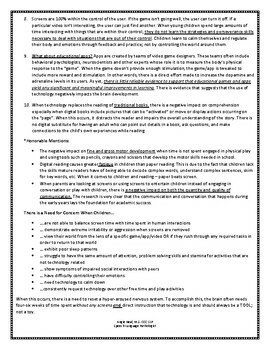 This handout uses parent friendly language to explain the Top 10 reasons WHY technology has a negative impact on children's development. Most specifically, it explains the impact on specific areas of the brain and what happens when those areas are not developed properly, are damaged or obstacles (such as technology) are put in the way of typical development. An earlier handout, Screen Time and Language Development, is a bit "softer" and designed for parents of younger children. 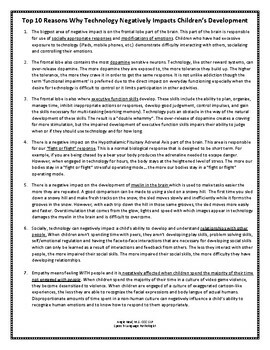 This handout goes more in-depth and may be more appropriate for older children (2nd grade and up). It also specifically outlines characteristics and symptoms of when there is a need for concern. 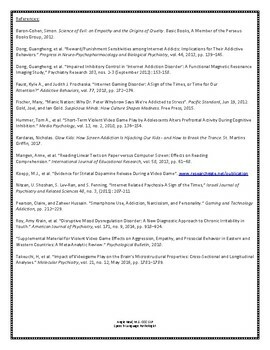 A reference page to the research in creating this document is included.